Introducing two more members from the Structural Engineering Section. Number one - Dr Farid. That is how the name should be spelled. Not F.A.R.E.E.D as written in the caricature. Never mind. I hope Dr Farid doesn't mind too. 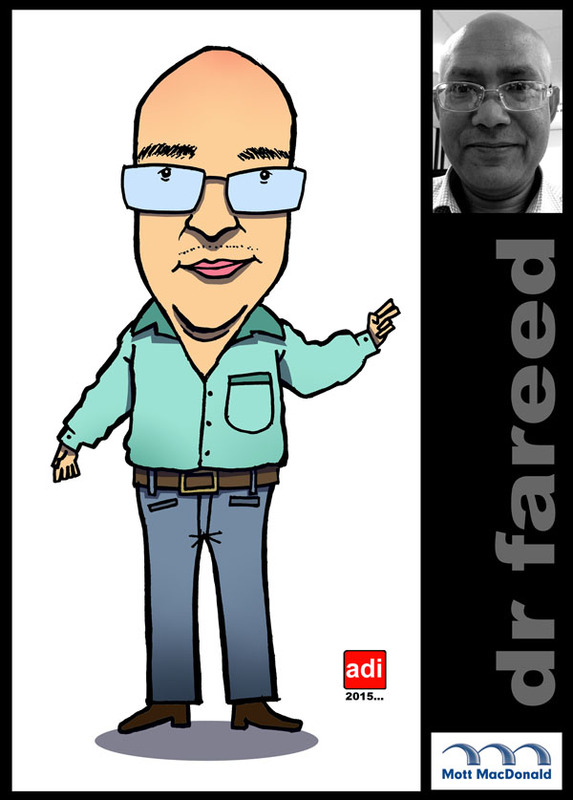 Dr Farid is a Structural Engineer. But sometimes we went to him and said, "Doctor, could you please check my blood pressure? Is it okay? Could you please give me some pills? I have a headache". Dr Farid would then reply, "Excuse me! I'm not a medical doctor. I'm a PhD doctor. I don't know anything about your sickness. But if you have weak or broken bones, I can try to reinforce them with steel bars. Because I am a structural Engineer! Ha ha ha....!!!" And of course, that kind of reply would chase his 'patients' away. Dr Farid is from Bangladesh. 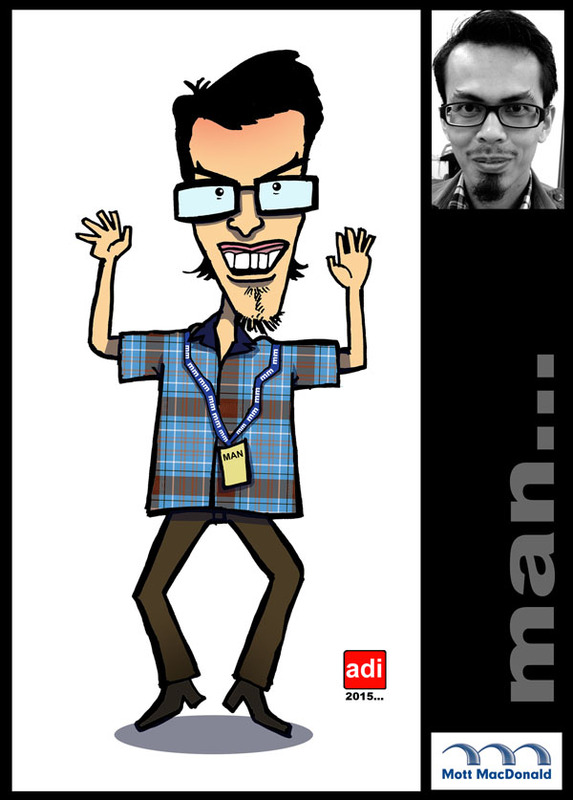 When I first met him, I thought he was a local Malay. So I greeted him with "Apa khabar?" But he didn't answer. After sometimes, I noticed he always speak English with some kind of accents. I then thought he was from India. Until about two months ago, he announced infront of everybody that he was from Bangladesh. Okay, one case closed.